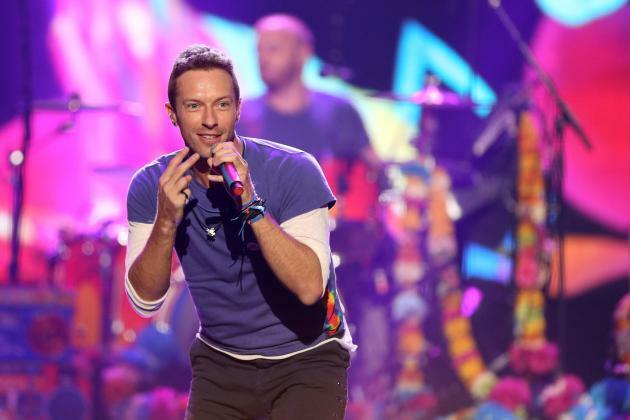 Coldplay will headline the halftime show at Super Bowl 50 in February 2016. Frontman Chris Martin said the band was “excited and honored and thrilled” to take part in next year’s event. He has also described the show as the “greatest moment” in the band’s career. Coldplay revealed the news on Twitter, saying the show would reflect the past, present and the next 50 years ahead. A record 118.5 million viewers in the US watched Katy Perry perform in this year’s half-time show. The NFL promised “fun, celebration and surprises” for the event at Levi’s Stadium in Santa Clara, California. Recent half-time headliners have also included Beyonce, Madonna and Bruno Mars, with Bruce Springsteen and The Who also playing in past years. In a promotional video, Chris Martin said: “We are so excited and honored and thrilled to be playing the half-time show. Coldplay’s artistic director, Phil Harvey, said there would be a “special guest” – but did not reveal their identity. The band is planning to tour “early next year”, after only playing a handful of low-key shows to promote their last album, Ghost Stories. It was also announced on Coldplay’s website that they were to play a free show in Paris for their French fans on December 9, weeks after the attacks in the city that left 130 dead, including many at the Bataclan theatre where the Eagles of Death Metal were performing.